Digital marketing has changed the way prospects search for rentals. Along with being significantly cheaper than traditional forms of media advertising (print, billboard, etc), digital marketing has the added benefit of being easily tracked. There are various metrics you can now look at to judge the success and cost of your various marketing initiatives. 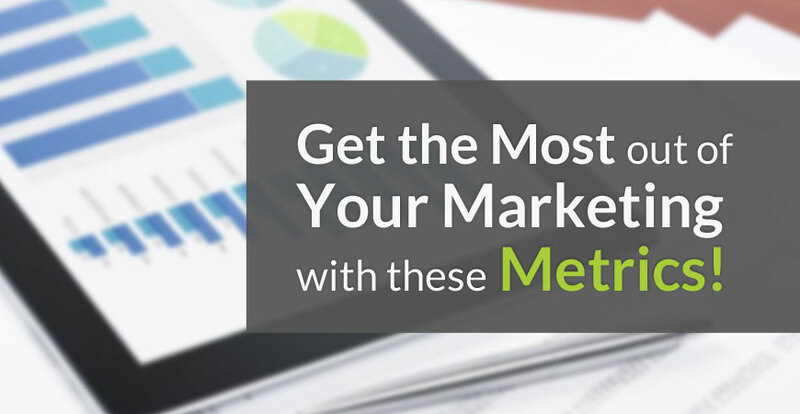 By better understanding some of these metrics and what you should be tracking, you can get the most out of your budget and ensure that you're generating enough leads given your needs. When most people think about 'availability', they equate it with 'vacancy'. This is correct, but often we forget about another aspect: turnover. Looking at both vacancy and turnover data will help you get a better sense of where and how you should focus your marketing efforts. By understanding the number of total availability per month, you will better understand how many leads you need to generate, and whether your current marketing is sufficient. Understanding how many leads it takes to sign a lease can help you properly gauge the "value" of a lease. 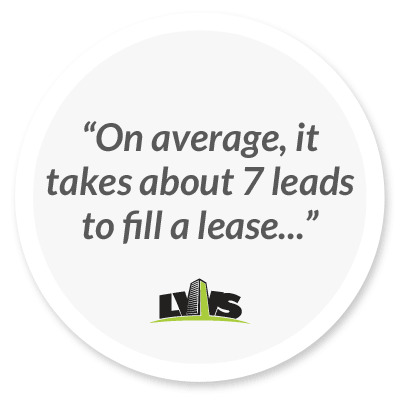 On average, it takes about 7 leads to fill a lease, yet that average can vary over time, based on a number of obvious factors like market, price point, age of buildings, and quality of leasing agent/property manager. For that reason, it's important to track your historical average lead-to-lease rate to get a better understanding of your baseline rate. For small to mid-size companies, it's best to calculate the overall average (total leads in a year to total leases signed), than to break that number down further (such as by individual listing site, city, etc). Larger rental companies would find better value in the more detailed breakdown. A quick note on lead quality: A common complaint from landlords is that despite generating lot of leads from a source, none converted to a lease. While this may happen from time to time, it is a byproduct of small sample sizes. Based on our aggregate data, we've found that there is very little difference in "lead quality" between different sources. Just know for now that your focus when judging a new lead source should be on leads, not on the how many leases it converted. The number one most important factor in turning a lead into a lease is how quickly the leasing agent was replying to the lead. The faster the turnaround response time, the more likely a lease was signed. Tracking your 'speed to the lead' might help you identify gaps in your rental process and expose areas for customer service improvement. Consider utilizing tools that allow you to auto-respond to applicants, advising them of receipt of their inquiry and assurance that a team member will be in touch with them within a certain timeframe. When it comes to leads, sometimes less is more. A high volume lead generator doesn't always guarantee high conversion rates, so knowing your cost per lead (CPL) can help you determine which marketing avenues are working for you, and which ones aren't. By figuring out what your cost per lead is for each marketing strategy, you can make smarter decisions when choosing where to focus your attentions and budget. For more information on CPL and further resources, check out our blog. Are you familiar with 'owned' and 'paid' leads? Paid Leads: Generated from paid ILSs, AdWords and other online paid ads. While one kind of lead is not inherently "better", understanding the differences can reveal where opportunities lie. Owned leads, which can be seen as a proxy for your brand awareness, word of mouth, and website presence, take longer term investments to generate. 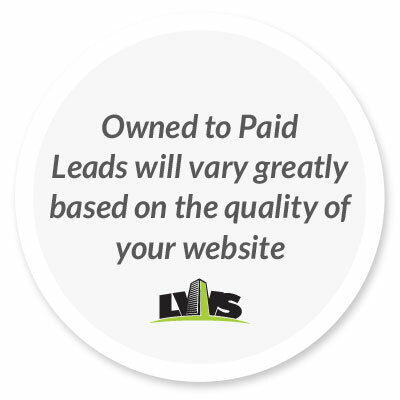 Paid Leads meanwhile, can be easily generated, yet cost more per lead. The ratio of Owned to Paid Leads will vary greatly based on the quality of your website, brand, the size of your portfolio, market conditions and your control over the market. However, a particularly low rate of "owned" leads could mean that you aren't getting enough out of your website (or you're making an even bigger mistake by not having a website at all). Investing in a well designed rental website can increase your owned leads, lower your average CPL. As well, Paid leads are especially useful for generating leads when there is a high percentage of vacant units (slow rental market, lease-up opportunity, etc). A bounce rate is the percentage of people who click through to your website, but immediately leave without viewing more pages on your site. A high bounce rate is undesirable and likely a sign that the content is not what the user was looking for, or the site itself is not user friendly. If you find a high bounce rate on main website pages (like 'home' or your city listings pages) specifically on mobile view, it's time to think about upgrading your website. Desktop vs mobile traffic -Many companies report their website traffic is divided 50-50 between desktop and mobile. As technology advances, the mobile viewings are likely to trend upwards, as we've seen happening over the past 4 years. Make sure you pay attention to how your leads are reaching you - if you see that your target market is reaching you via smartphones or tablets, it's imperative that your website is responsive and tailored to those devices. Using the various metrics outlined above, we can get a better understand of the last piece of the puzzle, valuing a lease. We all know that converting a lead into a tenant is the primary goal of multifamily marketing. By taking a holistic view at marketing, we can roughly calculate the value of achieving a lease signing. Knowing your baseline leads-to-lease rate and multiplying it by your CPL in a specific market, we can generate how much it would cost you to generate one lease on average. If your lease-to-lead rate is 10% and you're CPL is $10, and you need to fill 5 units, on average it will cost you $500 to fill those vacancies (at $100 per lease). This is actually a very reasonable price, given that some landlords will pay a realtor half a month's rent to find a tenant when they are having trouble filling a vacancy (half-months rent could range from $500 - $1000 depending on the market). Paying for more leads through additional marketing is almost always the superior strategy, as generating a lease through marketing is between 4 to 10 times less costly. By obtaining, analyzing and understanding the results of your marketing initiatives, you will have a better knowledge of where you need to make changes and the opportunities available to improve. With the help digital marketing experts, you can ensure you're getting to the optimal amount of leads you need, and getting the most out of your budget.